So you want to learn how to do well in college? 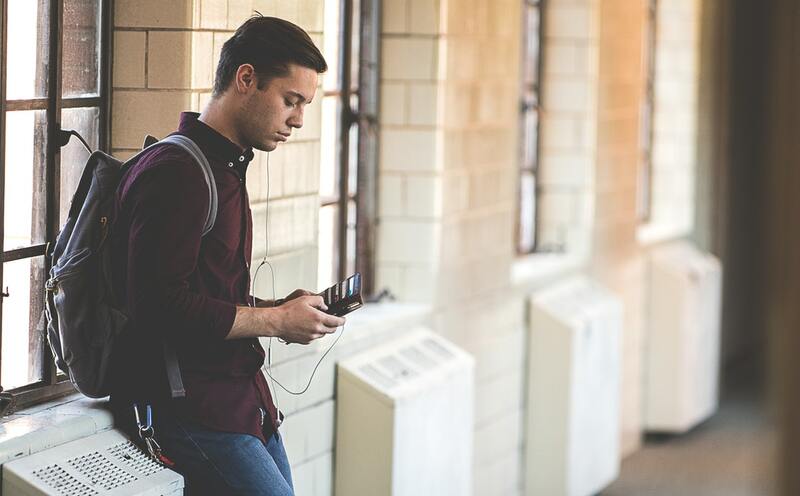 Whether you’re new to campus or want to take things to the next level this semester, here are 5 tips for student success. It might seem like stating the obvious, but getting enough sleep each night is the key to student success. Why? When you get 7-8 hours of sleep each night, you’ll perform better at school. Rest keeps you alert, focused, and motivated. On the other hand, sleep deprivation can lead to increased anxiety and stress. But who doesn’t want to sleep more, anyway? Well, college isn’t exactly known for its downtime. Late night sessions at the library and all-nighters during exam time aren’t exactly news here. And to be 100% honest, there likely will be times where you find yourself up WAY later than planned to finish working on a project or writing the rest of that paper. But if we’re being real, those late night study sessions can usually be prevented with better planning. Yes, you’re juggling a lot in school. 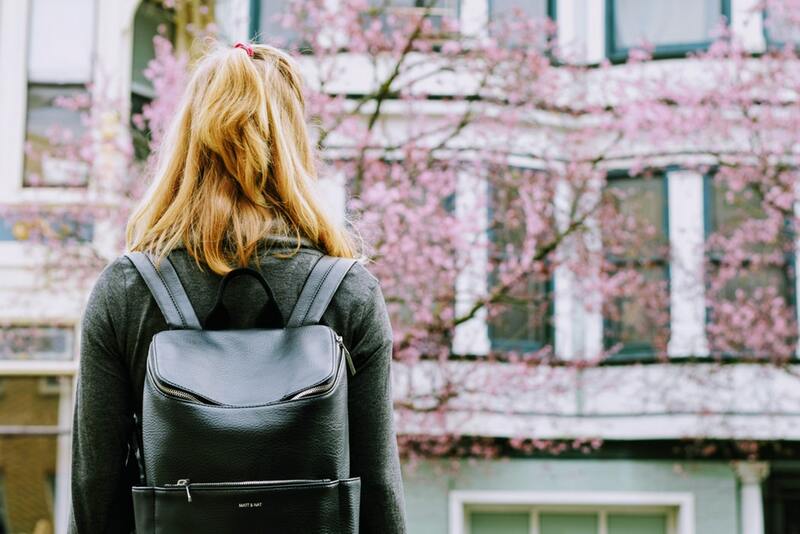 You’re busy running from class to class and balancing homework with extracurricular activities or jobs—but you probably have a little more time than you realize. So how can you find enough time to get in those zZz’s and stay on top of your studies? Keep reading to find out. This student productivity idea has two steps. First, find pockets of time where you can complete some work. Then break up your major projects into smaller chunks. Instead of trying to cram in 150 pages into one study session, you could read a couple of chapters while you’re waiting for your next class to start. You might need to reorder your to-do list. I’ll bet that if you find yourself with 10 minutes to kill, you probably spend it on social media. However, keep in mind those few minutes will add up big time throughout the day. What are some other ways you can squeeze in a small task during that time? I know you can find some pockets of time in your day if you try hard enough. Because the truth is, another benefit of breaking down your tasks is the big assignments become less overwhelming. For example, when you’re working on a paper. Have you ever found yourself staring at a blank page, struggling to get started? Writer’s block is pretty common. 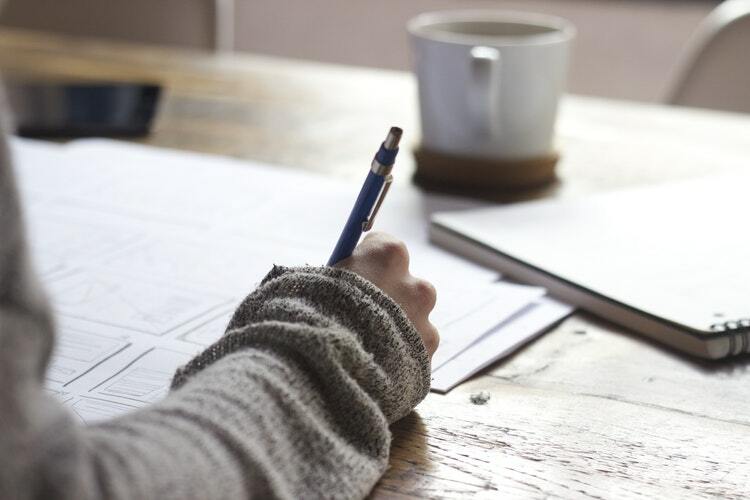 What if you could cut the amount of time you spend on writing in half by turning that 15-page term paper into a step-by-step process? When you start using your time more efficiently, you can improve your performance. How’s that? Let’s go back to the cram session. If you’re trying to read 150 pages in one session, it’s tough. You’ll probably rush through the material and skim through a lot of it, missing out on a lot of information. At the time same, when you know you only need to read 1 or 2 chapters you’ll feel less pressure to rush through the material. Believe it or not, your professors want you to learn. Participating during their lectures will actually help you retain the material better. This is because it forces you to think critically and analyze what your professor is teaching. What’s more, participation makes the class more interesting. When your professors know you want to learn, they’ll naturally try to help you in any way they can. Class discussions offer you the opportunity to receive feedback from your professors that will help you improve and grow as a student. Plus, starting conversations leads to a mentor relationship. If something ever DID come up or you made a mistake, your professor will probably be more understanding with a student they know is hard-working. Now, you don’t need a ton of supplies to stay organized. An accordion binder (labeled for each class) and a planner are a great place to begin. Take these with you to every single class so they’re always handy. Pencil in assignments, exams, and other major due dates into your planner as soon as you find out about them. Then, take time at the beginning of each week to (roughly) plan things out. In this case, you’ll be able to see what’s on your agenda ahead of time and go into each week with a game plan. You already know you’re supposed to take notes–but I want to offer you one particular piece of advice on note-taking. Physically write them out. In a notebook during class. Even if your professor gives out printed notes or study guide…take your own. According to NPR, handwriting out notes seems to help your brain retain what you’re learning better than note-taking on a laptop or tablet. Remember how we said participating in class helps make it more interesting? So does taking notes. In fact, professors seem to LOVE throwing in extra credit on exams that came directly from lectures. It’s their reward for attending class. It never hurts to take advantage of extra points, right? Overall, college is learning time management skills. Getting enough rest, organizing your deadlines, and following along in class (through participating and note-taking) are all ways to boost your performance in school. And breaking down huge projects into smaller tasks will make everything more manageable–and less overwhelming. Textbook Nova is a search engine dedicated to helping you find the right books you need for school and educational purposes. If you are having trouble finding the correct books for this semester, have no fear; Textbook Nova is here! 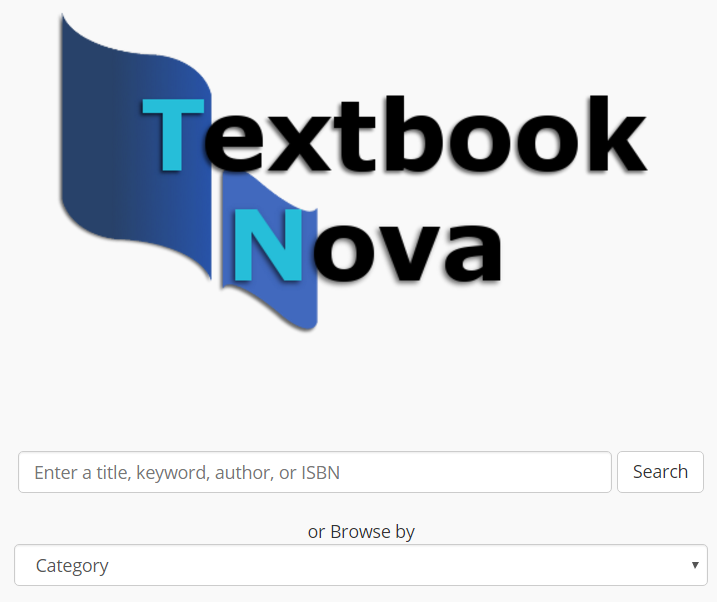 When you first come to the textbook nova homepage you are presented with two simple search options. You can choose to either enter text for your search in the top bar or select a category from the drop down menu. If you choose to select a category, you will be brought to Search Results page as soon as the menu closes. If you need to locate a book by using the title, author, or even the ISBN number you can enter your query into the text box and then press the Search button. When you perform any type of search the website will bring you to the Search Results page, unless you are looking for an ISBN-10 or ISBN-13 number. In that case if the website finds the book assigned to that ISBN number it will bring you directly to the Details Page. Once the site does a search for your query or category you will be brought to a page with a list of books that fit your criteria. In this example we have searched for “Computer Science” and see that we have a few results already showing up. If you click on any of the rows in this table it will bring you to the Details Page. In this page the specifics about one book are shown to the user. A large image of the book cover is shown to the top left and underneath that are the two ISBN numbers assigned to this book. On the right-hand side you can see the full title, author, publisher, binding type, and other details about this book. To see where to purchase the book click on the link at the top of the page or on the book cover. You are also able to rate each book depending on how close it was to what you are looking for. If this is exactly the correct book for your class you can give it 5 stars, if it is nowhere near what you need you can give it 1 star. Underneath the book details page is another place where you can vote to say what you are using the book for. This feature helps shoppers confirm that this is the correct book for the class that they are taking. 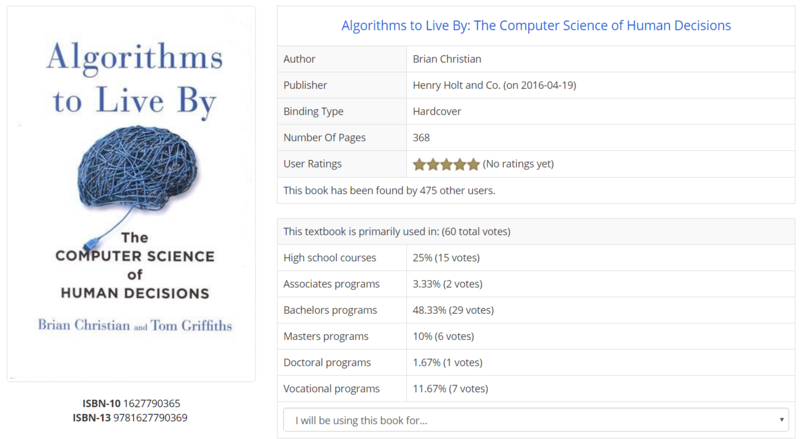 If you are looking at a book you need for a High School class, but the votes indicate that it is mostly used in Master’s programs; then you know something is wrong. To place a vote use the drop down menu and select what type of degree you will be using this book for. If you scroll further down on the Details page you will also see other helpful things like a description of the contents of the book, user reviews, and similar books.